I like a lot of different, separate, songs, and I think the only category I can say I like most of the time is Celtic/Irish. Rain and/or fog is my FAVORITE type of weather!! [if I lived in a place it snowed I would probably love that a lot, but I don't. :/] Whenever it's pouring raining outside, I'm in a great mood! "The end of all learning is to know God,and out of that knowledge to love and imitate Him." "Being a detective isn't all about torture and murder and monsters. Sometimes it gets truly unpleasant...The fate of the world may depend on whether or not you can bring yourself to visit your relatives." "Hey that's not fare!They have rocks!All we have are machine guns!!" "I believe because He gives me hope that there is someone out there who looks out for me and cares for me. There is something for me after death. He helps me not to be afraid, even when I feel really alone....He's God.... "
"So we're all men of our word really. Except for Elizabeth who is, in fact, a woman." So how is life, Skyril? So did you come by at the meeting, so we can discuss the bad news pertaining to the likes of the Faceless ones and how they, along with too many other threats at the front gates, are unleashing hell upon us all? hey sky! how's it going? we haven't really talked much in awhile. the best author on earth is that guy to the right!! He. Is. A-MA-ZING!! 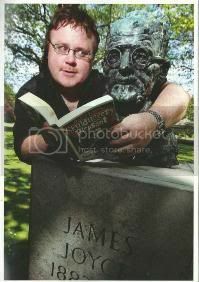 His name is Derek Landy (fangirl scream) Look him up!! 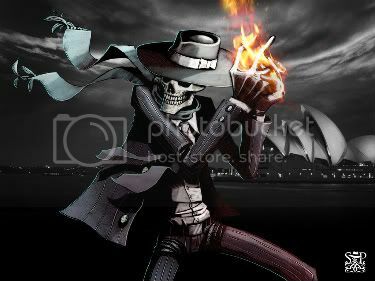 Skulduggery Pleasant!! (fangirl scream) BEST! SERIES! EVER!!! Don't believe me? Read it!! 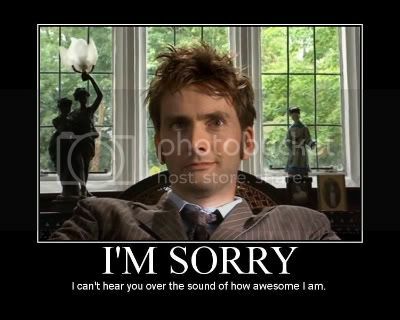 I like a lot of shows, but my top two, I'd have to say, are Doctor Who and Pushing Daisies.